West London’s Parkfield House Nursing Home has received funding from the Mayor of London to begin a new creative arts project at the home. The funding comes from the Mayor’s Culture Seeds project designed to put culture at the heart of the community. In the project, grants of between £1,000-£5,000 are available to individuals, and to small, not-for-profit organisations in London to support community-led cultural projects in London. 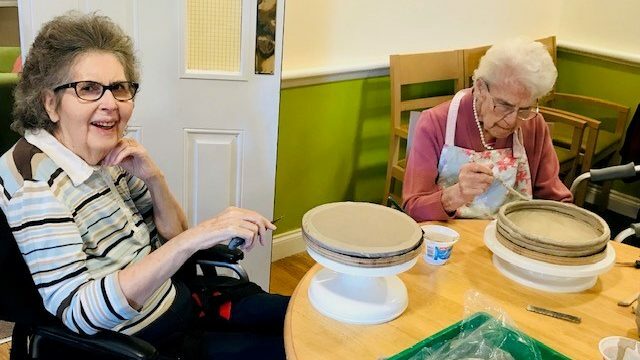 The ‘Creating a pride of Place’ project sees Parkfield House residents working with professional artists, including ceramicist Jeanne Lewistiff, to create new artwork to be displayed in the home. In addition to ceramics and mural making, residents will try their hand at weaving over the next six months and there will be an exhibition in June. Manager of the 40-room home, Wendy Bristow, said art is a big part of the activities programme at Parkfield House.